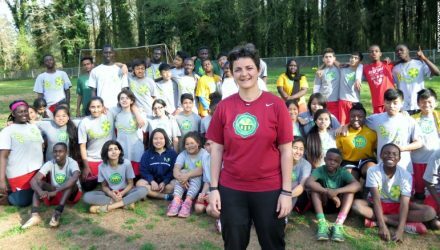 Luma Mufleh ’97 was named a CNN Hero for her work with refugee children. In accepting the award, she said, "As a new and proud U.S. citizen, as a Muslim and as a mentor to refugee children who inspire me every day, let us honor Lady Liberty and show America's heart. Let us remember immigrants make America great." 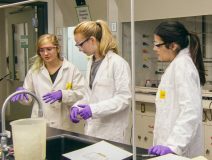 Students in Organic Chemistry II have been doing far more than just reproducing results from previous lab experiments. They have been designing new experiments that could lead to treatments for a neglected tropical disease that afflicts more than 100 million people around the world. 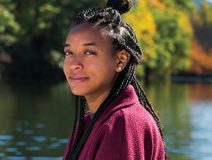 Sidni Standard ’17 is doing exactly what a good student of the liberal arts should do: taking full advantage of the educational buffet that Smith has to offer, from academics to internships to the all-important alumnae network. She may not know exactly where she's going, but she’s enjoying her journey. 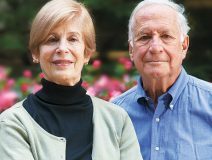 As a young couple, emeritus professors Helen Lefkowitz Horowitz and Daniel Horowitz spent a summer camping in Italy and France. One place they didn't visit was Provence. In her new book, A Taste for Provence, Helen traces how and why this once-overlooked region has captured the romantic imaginations of the traveling public. Alice Parker ’47 has been shaping chorale music for most of her life. She collaborated with the Robert Shaw Chorale for 20 years and has composed operas, cantatas and suites for chamber ensembles, as well as hundreds of anthems and songs. She received the Smith College Medal in 1982. Recently, she appeared on the radio program On Being with Krista Tippett to discuss the joy of writing and composing and the magic of melody.